English Historical Fiction Authors: The Battle of Waterloo: Did the Weather Change History? Background: The Battle of Waterloo was fought south of Brussels between the Allied armies commanded by the Duke of Wellington from Britain and the 72-year-old General Blücher from Prussia, and the French under the command of Napoleon Bonaparte. 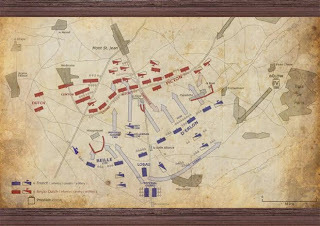 The French defeat at Waterloo brought an end to 23 years of war starting with the French Revolutionary wars in 1792 and continuing through the Napoleonic Wars. There was an eleven-month respite with Napoleon forced to abdicate and exiled to the island of Elba. The unpopularity of Louis XVIII, however, and the social and economic instability of France brought Napoleon back to Paris in March 1815. The Allies declared war once again. Napoleon's defeat at Waterloo marked the end of the so-called '100 Days,’ the Emperor's final bid for power, and the final chapter in his remarkable career. Communication was the key. The fastest means was sending messages with horseback riders, but this created a delay in instructions being carried out, and chances were high of messages being intercepted and not arriving. Given the numbers of soldiers and the distances involved, potential fatalities could occur if communications were disrupted, and Napoleon did not set up the means to ensure that orders had been received. In choosing leaders, Napoleon used poor judgement. Marshal Grouchy was considered a great General, but this battle was too much for him. He was tardy in his pursuit of the Prussians, giving them time to regroup, and showed little initiative. Ney was also unreliable as a leader, not taking advantage of his situation in the Quatre-Bras precursory battle and then in leading the cavalry which was not supported by infantry and artillery at Waterloo. 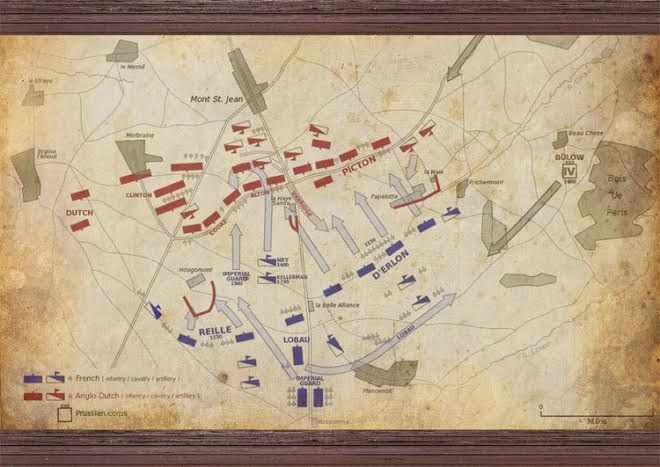 47,000 soldiers died in the Battle of Waterloo in an area as small as 6.5 km by 3.5 km. To see an hour by hour breakdown of the events, see BBC History. And, of course, the Waterloo 1815 website has intriguing details. Something outside Napoleon’s control, but a matter that caused many of his problems was the weather during June 16-18, 1815. The French and Allies experienced the same conditions, but Napoleon's loss most likely can be attributed to his arrogance and inflated self-confidence which stood in the way of reason. So, how do the events at Waterloo fit into one of my novels? 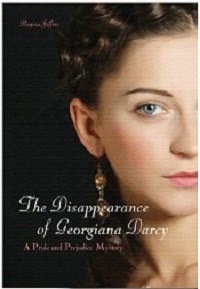 In The Disappearance of Georgiana Darcy, Colonel Fitzwilliam returns from service under the Duke of Wellington at Waterloo to find personal disaster awaiting him. His new wife, his cousin Georgiana Darcy, was to meet him at his estate in Scotland. Georgiana, however, has been told that he did not survive the Battle of Waterloo, and in grief she has run from the manor house and is assumed to have lost her life on the unforgiving moors. Regina Jeffers, an English teacher for thirty-nine years, considers herself a Jane Austen enthusiast. She is the author of 13 novels, including Darcy’s Passions, Darcy’s Temptation, The Phantom of Pemberley, Christmas at Pemberley, The Scandal of Lady Eleanor, A Touch of Velvet, and A Touch of Cashémere. A Time Warner Star Teacher and Martha Holden Jennings Scholar, as well as a Smithsonian presenter, Jeffers often serves as a media literacy consultant. She resides outside of Charlotte, NC, where she spends time teaching her new grandson the joys of being a child. It's so strange to think how little it takes to change the course of history! And what a great use of historical facts to build a great story! The weather and incompetence, from what you say. I would not have wanted to be a Spanish sailor on the Armada. A very interesting post. It sounds like a real devil's stew of poor management, and then nature spoke up, loudly!